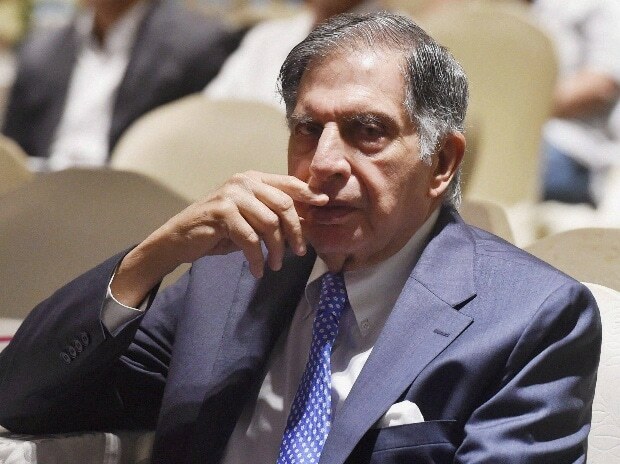 Tata group Chairman Emeritus Rata Tata on Monday asked employees of Tata Motors to plan on becoming leaders again, saying it hurt him when the auto maker lost market share in the last 4-5 years and the country looked at it as a 'failing company'. Tata, who addressed the annual townhall of employees — a tradition which he started on the start of every new fiscal year — after a gap of almost five years, said that under the leadership of Chairman N Chandrasekaran and MD Guenter Butschek, Tata Motors will continue to build in the future. "I was proud to belong to Tata Motors because there was nothing that we undertook to do that we didn't make a damn good try at achieving, be it the products, be it the entry into the passenger car area, new systems," Tata said recollecting the past ethos of the company in Pune. Commenting on the decline that the company has witnessed in the recent past, he added, "It hurt me that we lost market share in the last four to five years and we became the company that the country looked at as a failing company." In 2016-17 Tata Motors' standalone gross revenues was at Rs 491 billion, up 3.6 per cent from the previous year but the loss after tax, on a standalone basis, was Rs 24.80 billion compared to Rs 620 million in the previous year. Moreover, its commercial vehicles had lost share in the domestic market, down to 44.4 per cent in March 2017 from a high of nearly 60 per cent five years before that. In the passenger vehicles business, it struggled to keep pace with competitors. However, in 2017-18, the company has been able to improve its sales significantly. Its cumulative domestic sales of commercial and passenger vehicles segments for FY18 were 586,639 units compared to 478,362 units in FY17, a growth of 23 per cent. "In all the years that I was here, I really believed that this company had tremendous spirit and tremendous capabilities. I stand here today, and I'm happy to see the same spirit, that same doability is back together. That's terrific," Tata said, who retired as Chairman of the company in 2012. Reiterating that Tata Motors was the leading company in the Tata group, he said: "We should plan on doing that again. We should plan on being leaders and not followers. And we should get back the spirit that we had which I see today that anything we want to do we will succeed in doing." Tata further said: "All of you (employees) have been terrific contributors in your field and we should feel proud of the place we have built in the past and under Chandra's and Gunter's leadership we will continue to build in the future.